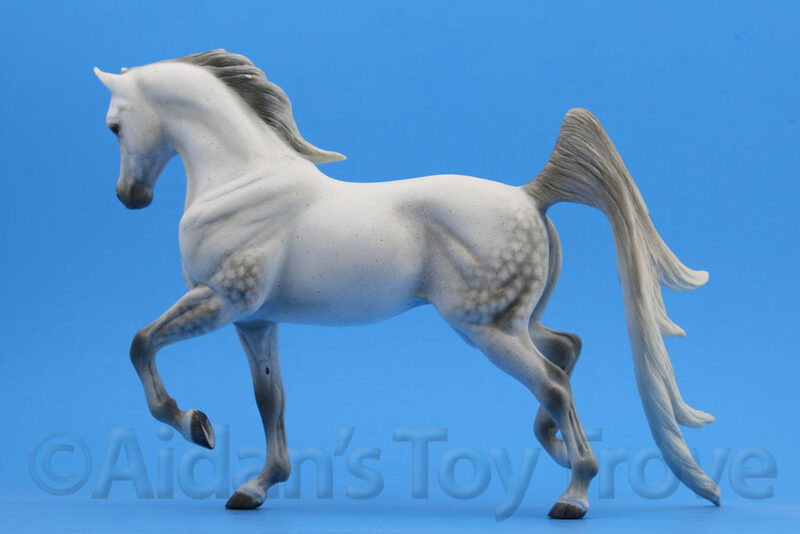 For sale is a Traditional Scale Breyer Custom Huckleberry Bey By Jennifer Read. 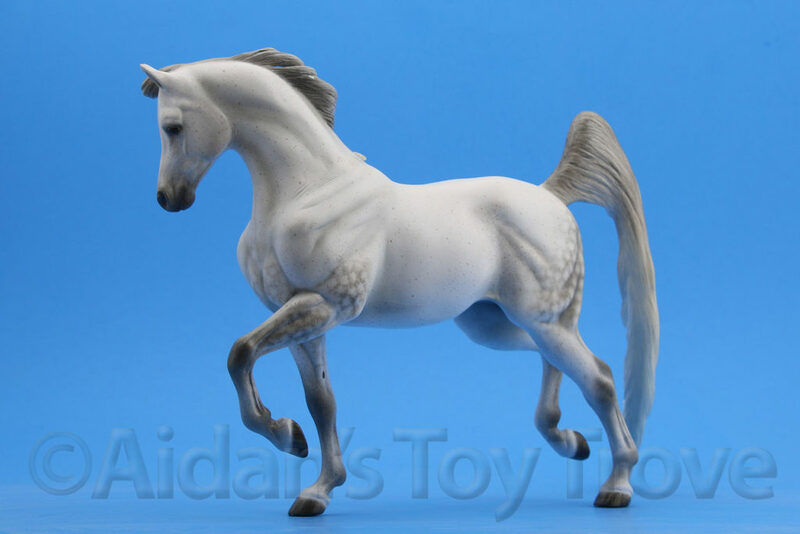 The body is the Huckleberry Bey mold and the head belongs to the Proud Arabian Mare. 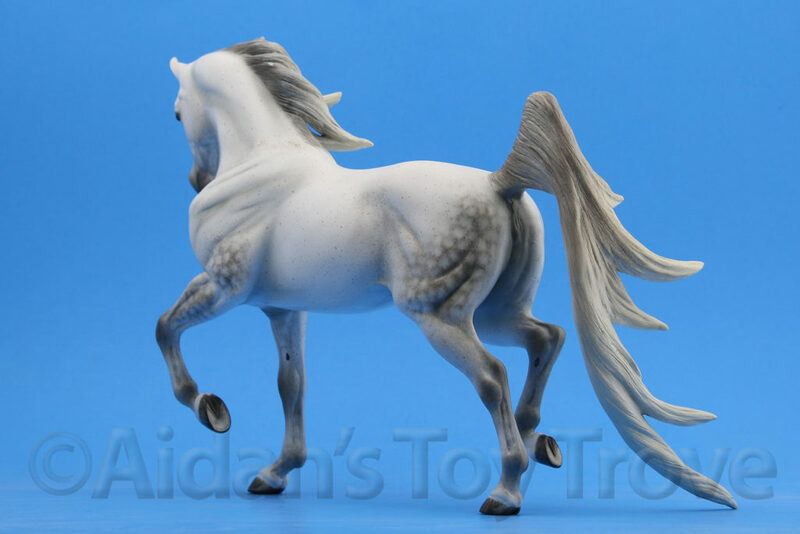 He is now a she and sports a brand new luxuriously long mane and tail. 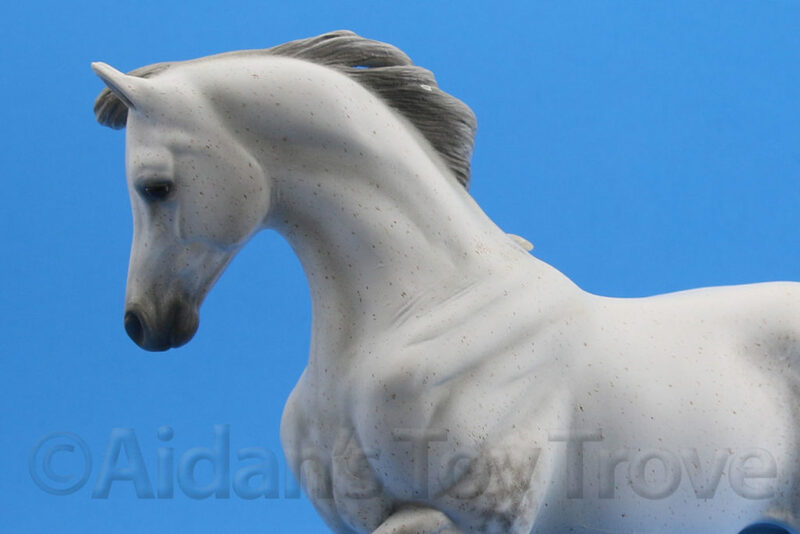 So many parts have been resculpted that I can’t begin to list them. 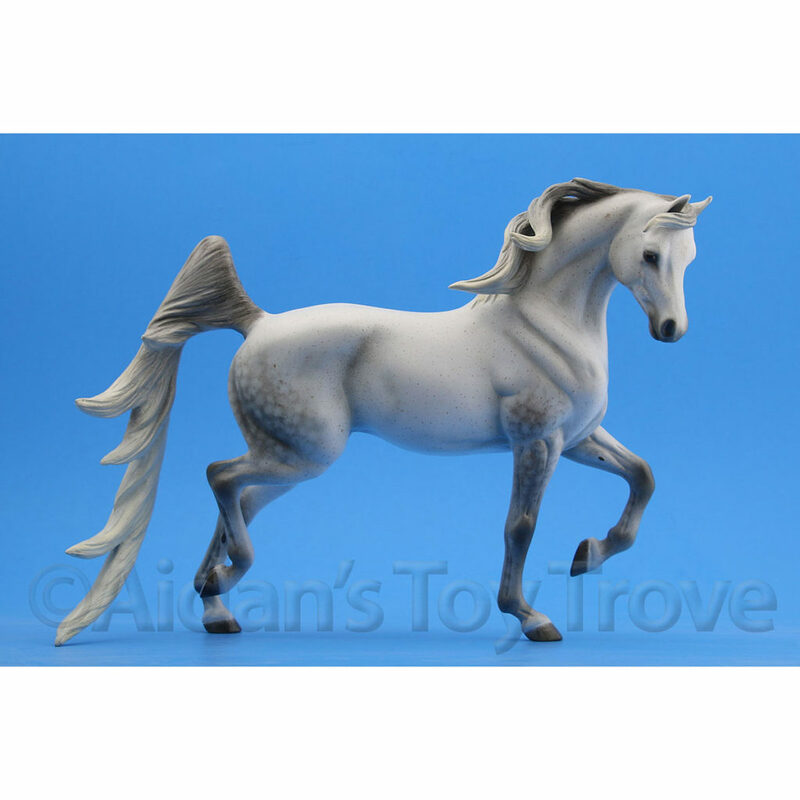 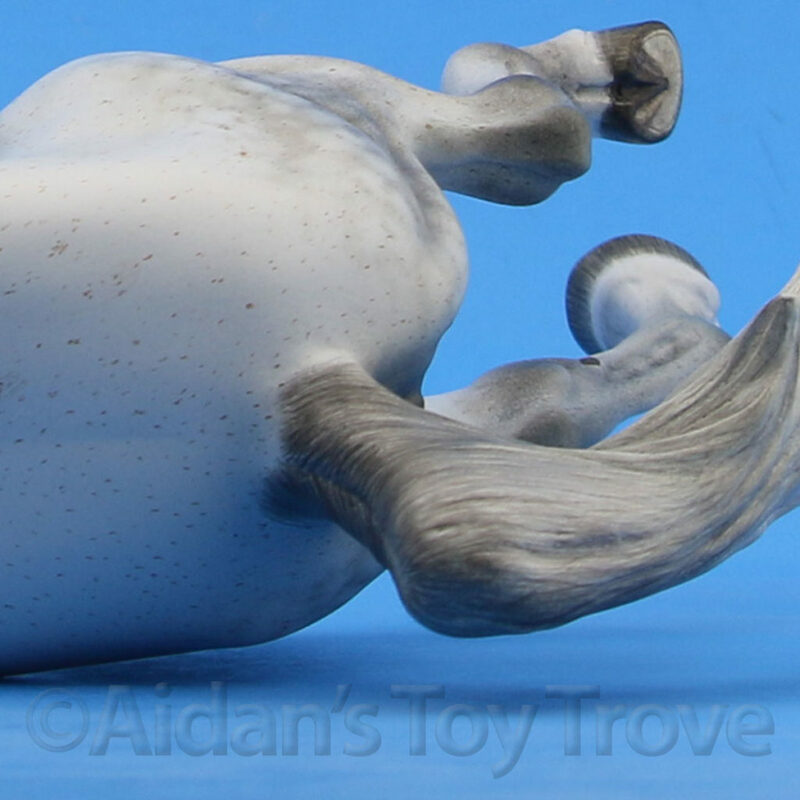 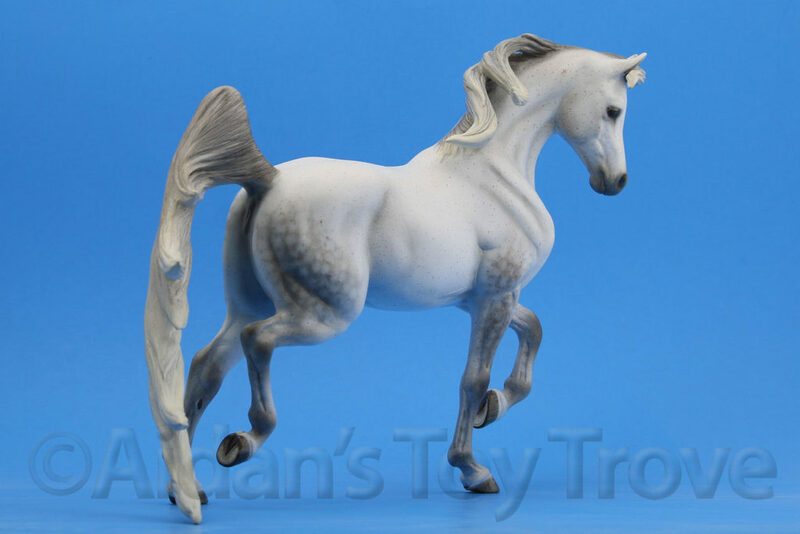 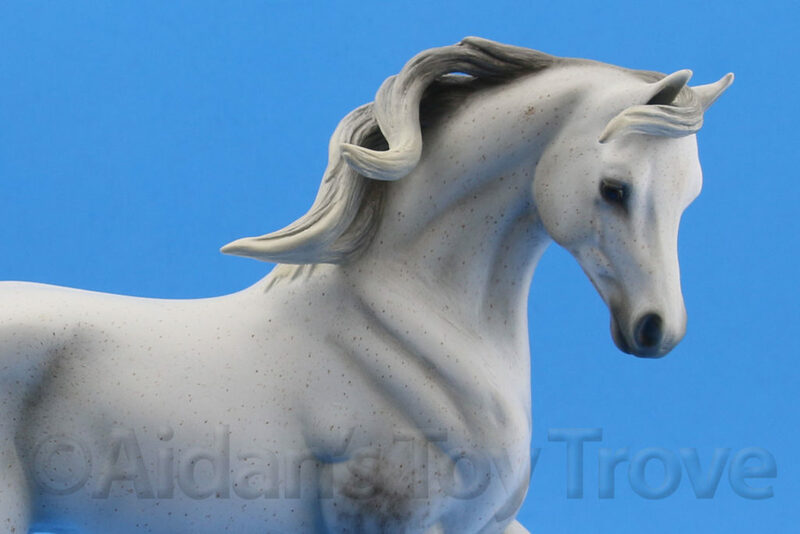 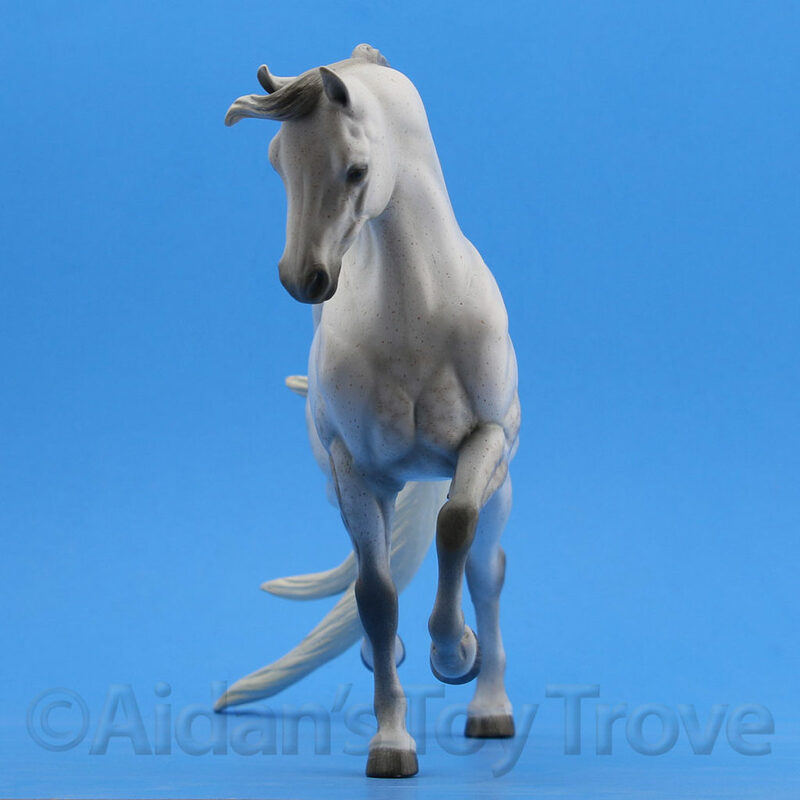 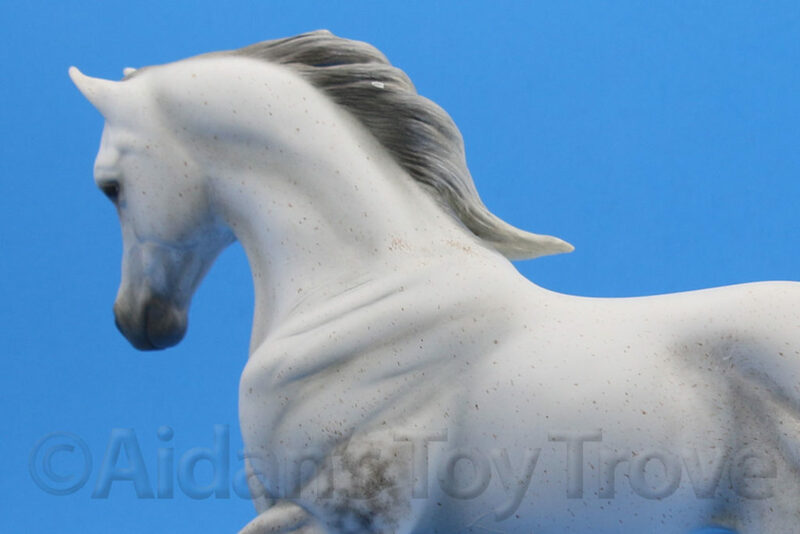 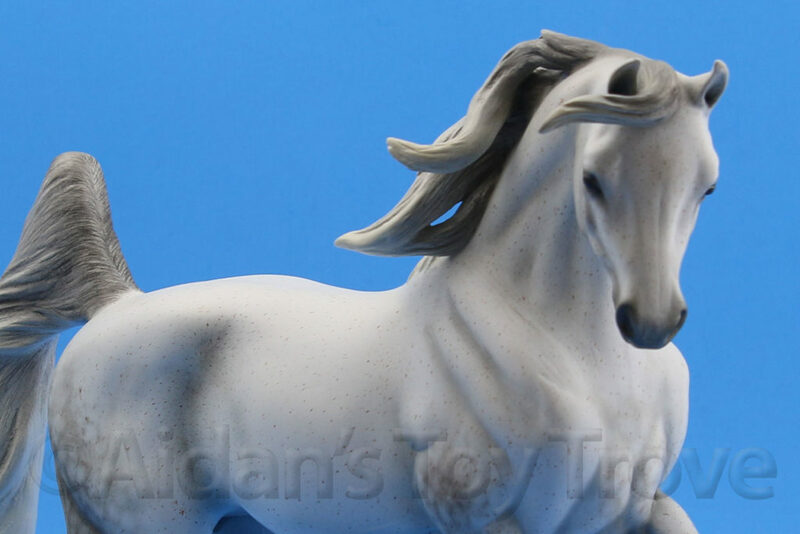 This model is painted a beautifully dappled light white grey with dapples and fleabites. 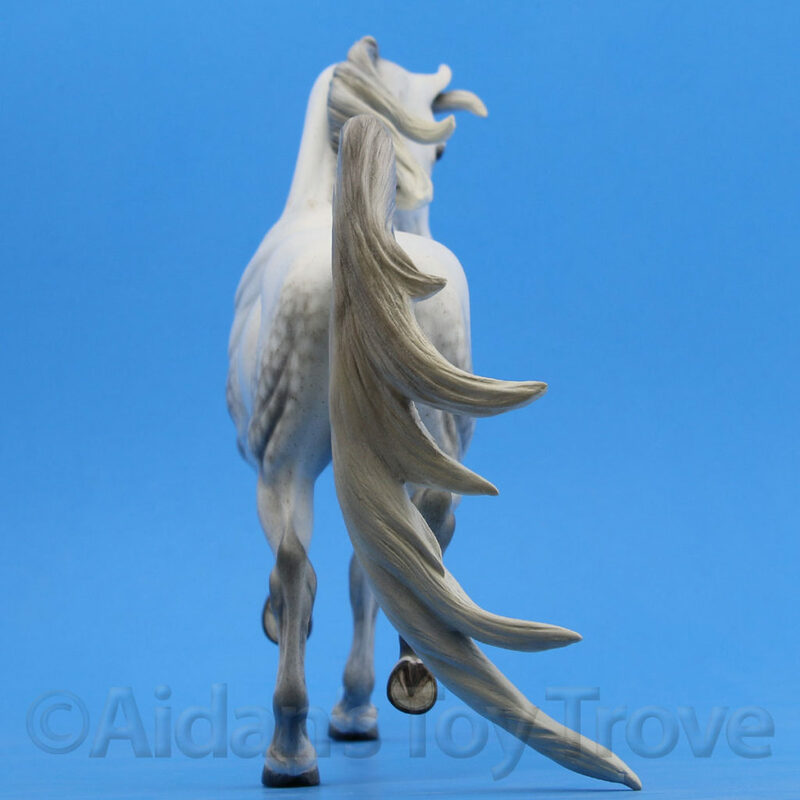 The fleabites are hand painted and follow the direction of real hair growth. 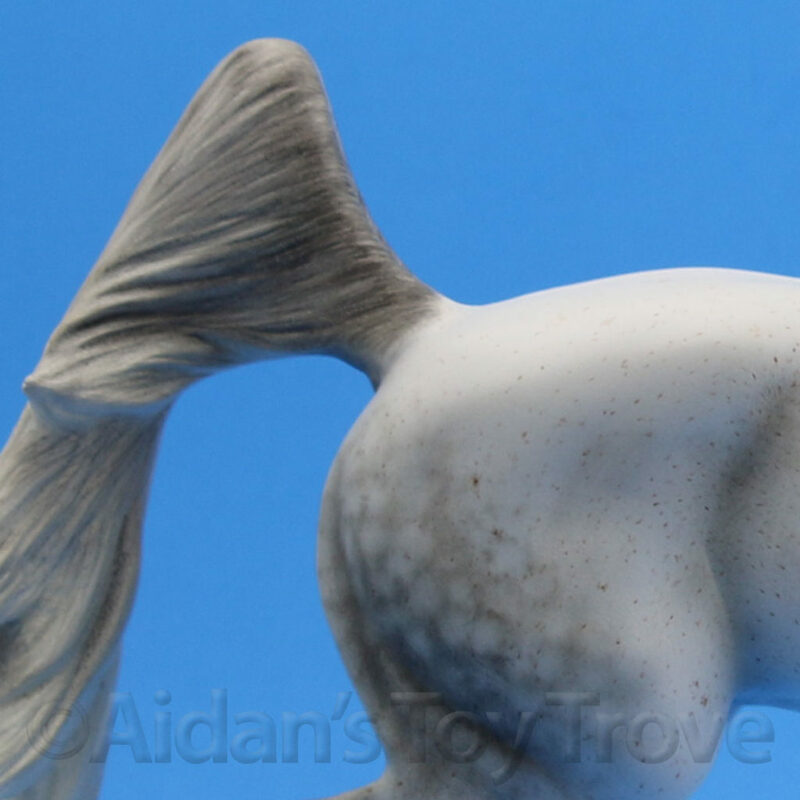 The mane and tail feature painted on hair detailing that bring a realistic look to the sculpture. 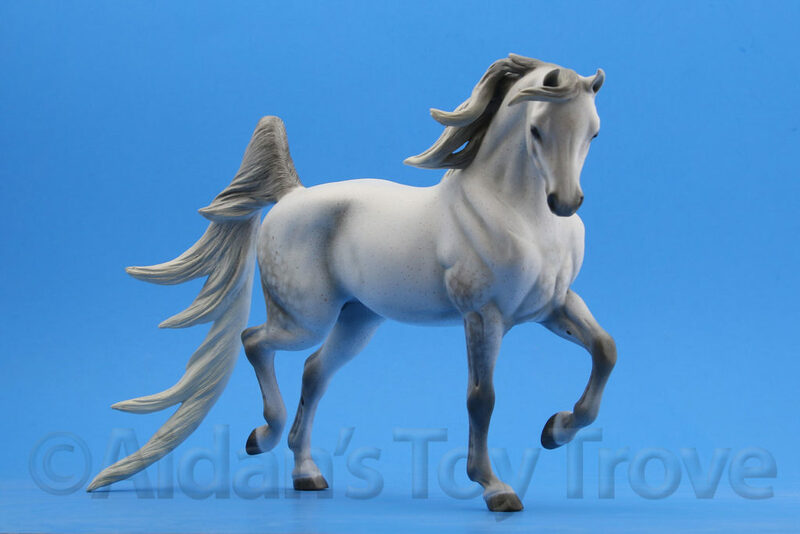 I own a number of customs by Jennifer Read and I feel that this is one of her best pieces to date! 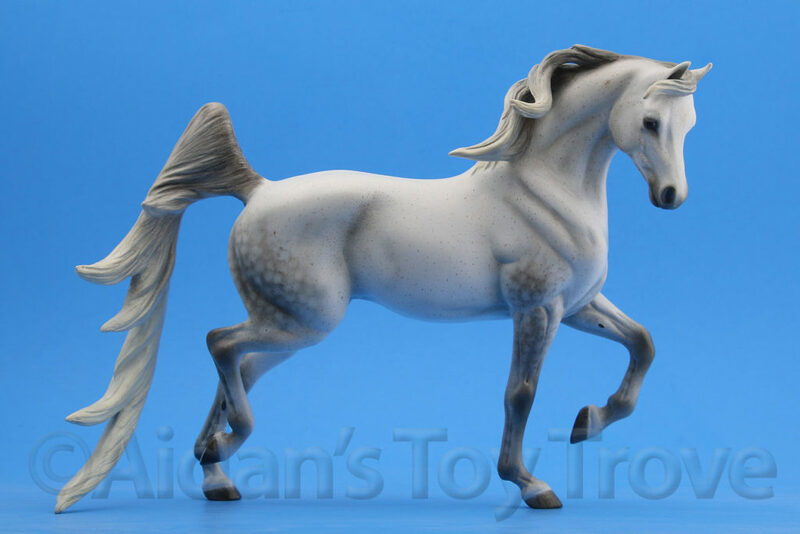 There is a paint rub on the offside of her mane. 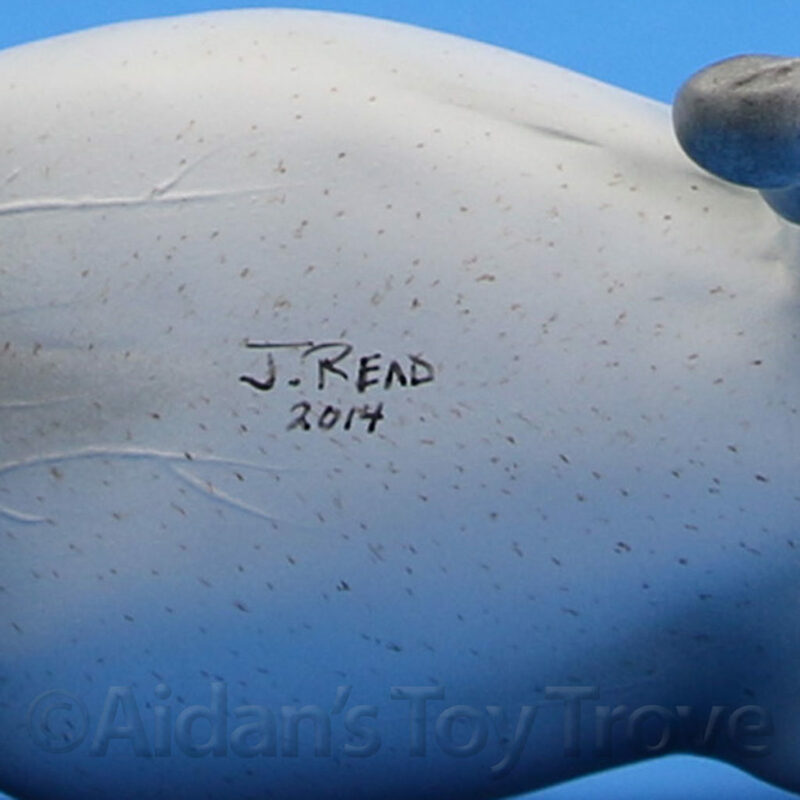 This should be a relatively easy fix and I believe that Jennifer would be willing to fix it. 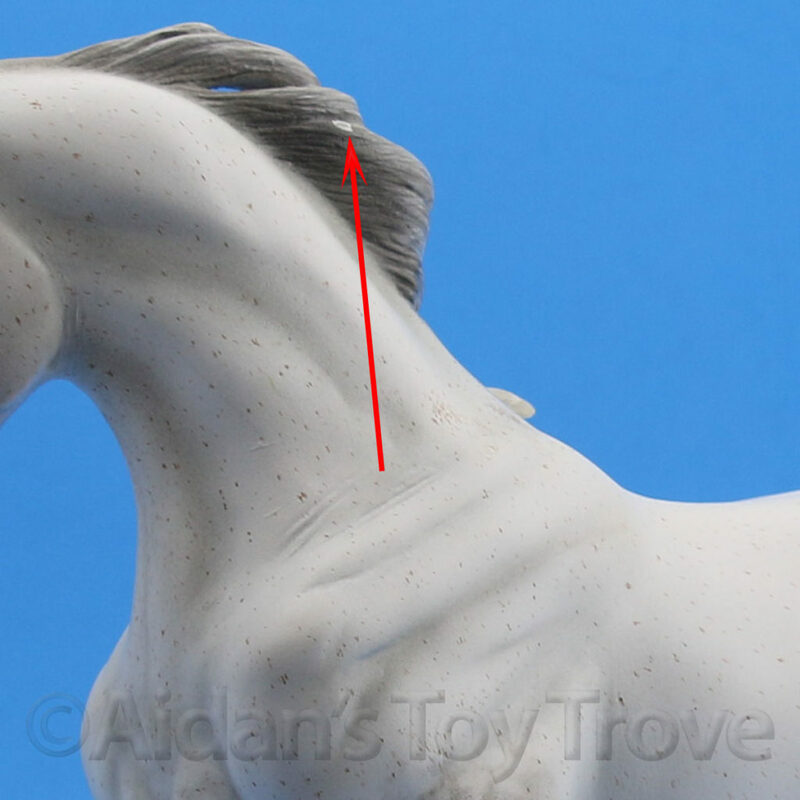 This is, in my opinion, will be a top LSQ model once the rub is fixed. 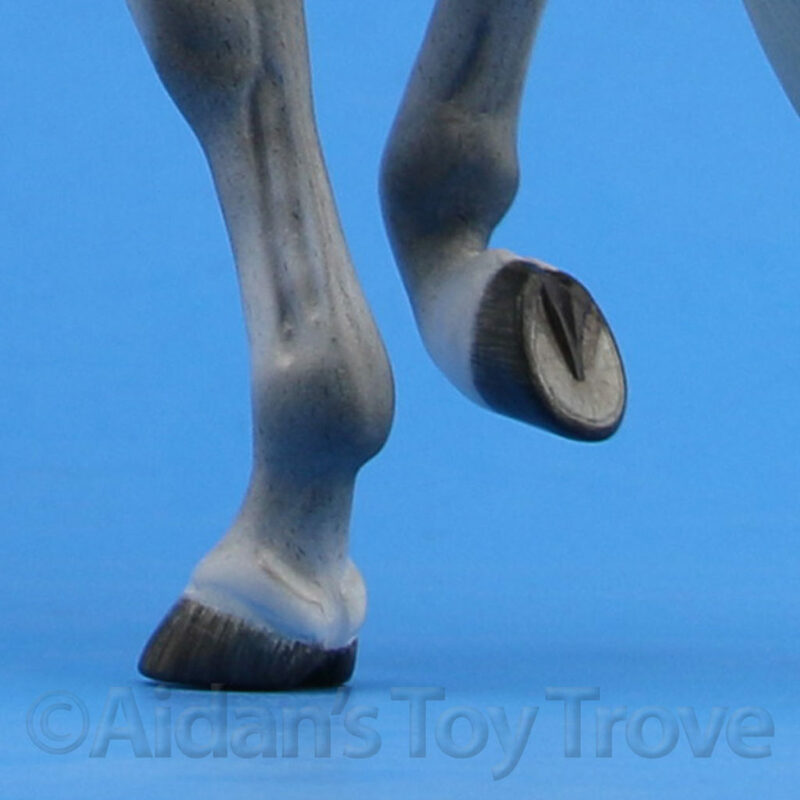 Just look at all the intricate detailing! 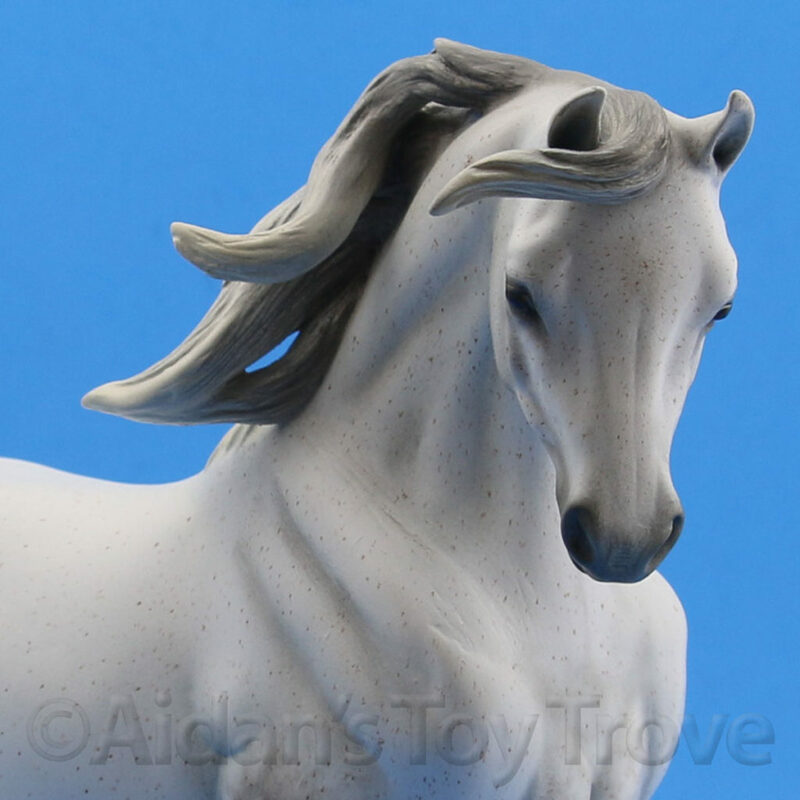 The Breyer Custom Huckleberry Bey By Jennifer Read will be carefully packed in bubblewrap and surrounded by packing popcorn.